Looking to drive at 200 miles per hour? You want to jump off a cliff? And then live to battle with the sharks? Hate to bring the bad news to you then, but Rouge River Valley isn’t for you. That being said though, we are sure that while you won’t be able to do all these at the valley, you won’t miss them either. The Rouge Valley throws down its own gauntlet. The question is, are you valiant enough to take up the challenge? Are you game? The Rouge River flows through Mont Tremblant and then, right into the Ottawa River, and is what you would probably see on your way out from Montreal. The Rouge River is a popular white water rafting destination. Both, Spring and Fall seasons, are suitable for this sport here. 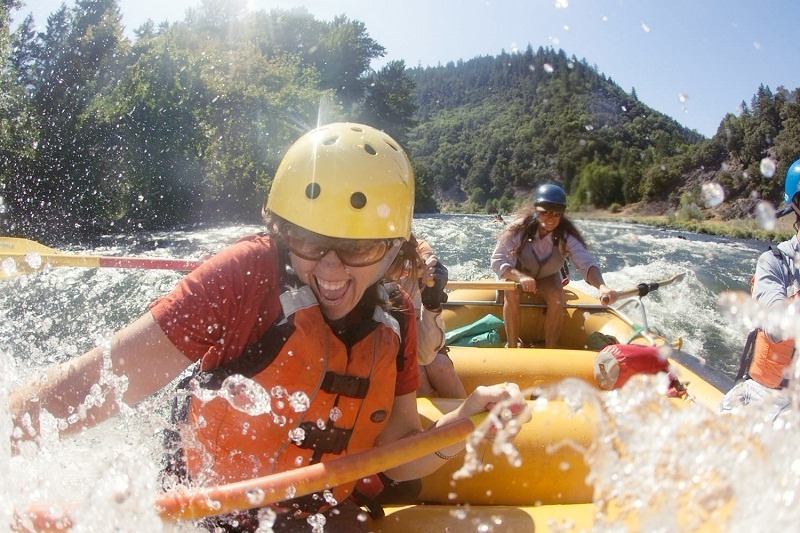 It is included in the list of North America’s top ten rafting runs. You can spend hours rafting in the rapids here, whether you are a beginner or an expert. Many tour and extreme sports companies organize rafting tours for tourists here. Enthusiasts can raft in class 3 to class 4 rapids on the Rouge River. You can enjoy waves for about 5 miles. The Canyon and The Seven Sisters are the two main rafting sections here. You can also body surf in the comparatively calmer parts of the river. The Rouge National Urban Park is the largest urban park in North America and includes a considerable part of the Rouge River. It is spread over the cities of Toronto, Markham, Pickering, and the Township of Uxbridge. You can easily reach there by foot, car, train, bus, bike or subway. Canoeing is another option. It is open 365 days and entry is free. The park’s first-rate road network is a brilliant way to explore the area. You will be tricked into believing that you have come far, far away from the maddening chaos of the cities. The fantastic rural atmosphere is courtesy of the forests and farmlands spread over the park. The Waterfront Trail at the Rouge Beach offers a relaxed ride and is perfect for families with kids. Ontario has several fishing zones. Each has its own open season and catch limit. The mouth of the Rouge River is a popular fishing spot. You can catch a variety of fish here at different times of the year. However, you will need a valid Ontario fishing license to fish in the park. Water sports here are of the more leisurely type rather than the extreme. You can canoe, kayak or paddleboard while observing the flora and fauna. Or you can simply go for a swim in Lake Ontario. The water is tested on a daily basis by Toronto Public Health during the summer, so it is safe for swimming. A life guard is also stationed during official hours. Currently, the Toronto and Markham areas of the park have over 12 kilometers of rural hiking trails. There are plans to expand the trails significantly and provide a link from Lake Ontario to the Oak Ridges Moraine. Plans are also being developed to link park trails with trails outside the park located in the nearby cities. Whether the extreme type or the more leisurely type, the Rouge River has something to offer to everyone. But remember, you need to live to tell the tale. You need to be fit to conquer the waves the next day. You need to be safe.